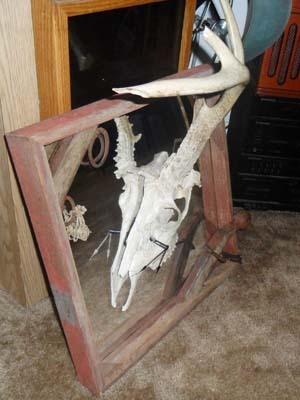 Features: Cow skull split and mounted on mirror with artwork, barn wood background with raised header at top. 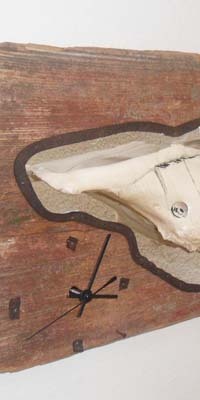 Quartz clock movement with second hand. Mirror is wrapped in leather from reins. Clock in bottom left corner adds function to beautiful art. Features: Found deer skull with two extra deformed points, one out of the top of the skull, one out of the back of the main horn. 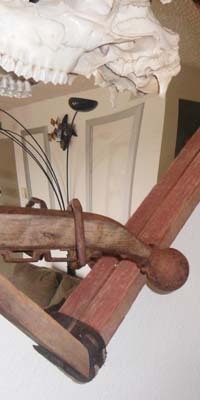 Frame made from barnwood and accented with leather and two sections from reins. Full mirror back gives the appearance of a full mount. 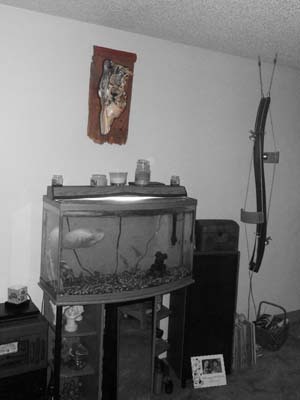 Quartz clock added in the center of the skull, through the back. You might be getting your first buck, its a 6x6 with two tips broken from the tire it punctured when we found it. Mirror and mount stand out on a wall and attract visual attention. You'll get asked a lot of questions, and get a lot of comments. 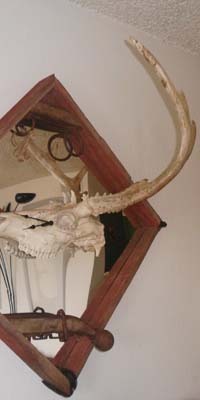 Features: Cow skull split and mounted on mirror with barn wood backer. 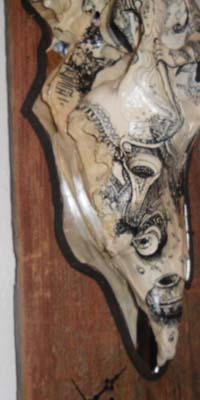 Header is made from a section of reins. Quartz pendulum clock with leather strap and antique tin weight. 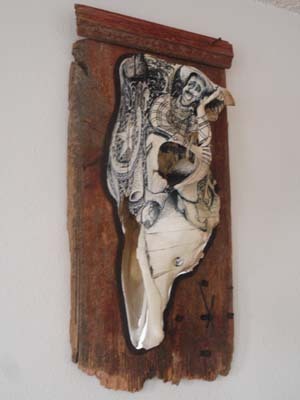 Mirror is leather wrapped and skull decorated with tribal and Native American art. 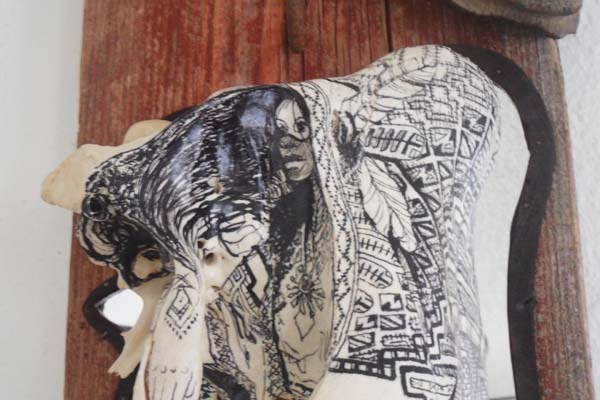 Native American theme with symbols, Native American girl, native pottery, and more hidden inside. 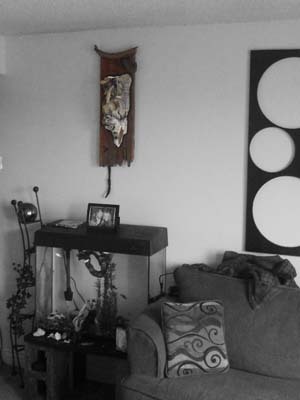 Clock and pendulum add movement to make sure and attract attention. There is no way to replicate, re-create, or copy any piece from this collection. 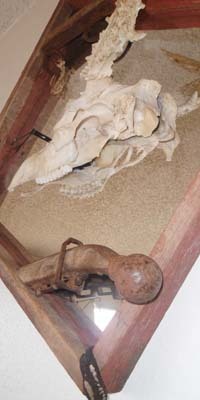 There are artifacts from cattle days, ranching, turn-of-the-century living, building materials, and real skulls. From back when the buffalo roamed, and the west was still wild. 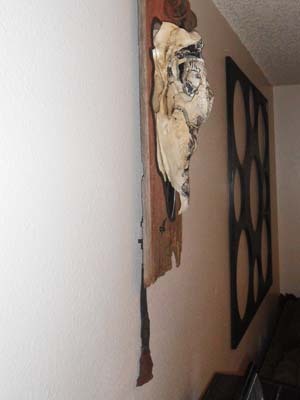 All materials are from a farmstead in the middle of Kansas which was homesteaded during the 1850's. 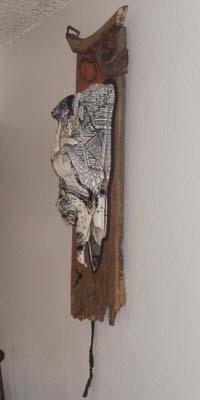 The barn wood has seen a few winter storms, and has been through a couple summer paintings. Showing algae and mold between layers. Some of the wood made up main support beams on the interiors and outer sidings of the buildings. 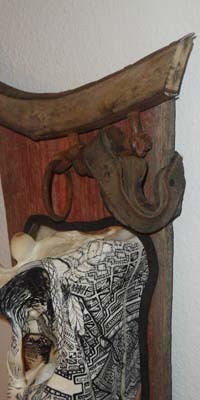 The leather and reins are from a set that was abandoned after many of the straps had broken from use. They were kept in the back of the barn in case pieces could ever be salvaged. 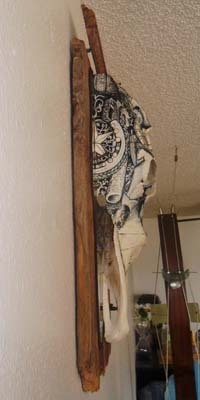 The leather had to be rehydrated and oiled before working with, then dried again into its final use. 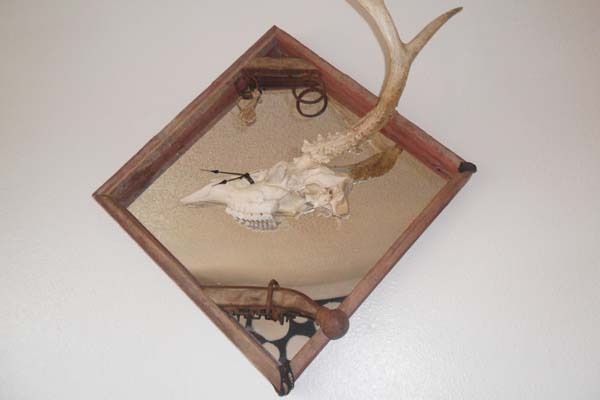 All of the cow, deer, fox, and other skulls and bone fragments were found throughout the woods, and collected from natural deaths. It takes about 7-10 years after the animal has died to have wild life and insects completely decompose the skulls naturally. Much of the work is done by beetles. 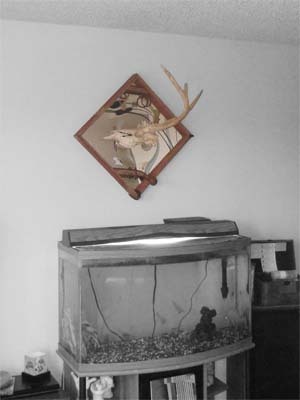 Many times the skulls are filled with beetle shells and mountings. However the clean white appearance is all natural. 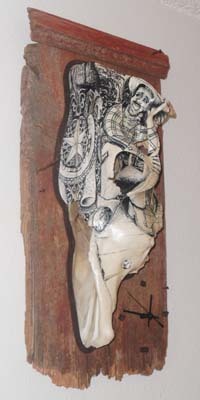 So, you get to enjoy a recycled art from from the past. "The best way to recycle is to reuse." If you would like custom art, or would like to get involved.